Android is an operating system developed by Google for mobile phones, to be precise smart touch screen mobiles and tablets. For television, wrist watch and car, Google designed Android TV, Wear OS and Android Auto respectively. Android is the bestselling OS and used worldwide since 2011. With developing software and technology, android has developed a lot according to present requirement and latest updates. And because of that, the android tools and drivers are also gaining popularity. The Android is also known for its ease of development. It is versatile for developers, thanks to the many Android tools and drivers available. A typical application development can take just around a week and this is one of the reasons contributing to the explosion of apps. The latest Android version at the time of writing this article is the Pie. Google has been instrumental in optimising the operating system with every single version that they have launched or updated. Let us have a brief overview of the tools and drivers available for Android and see how to download them and what they do. It is an Integrated Development Environment (IDE) for Android. This is one of the most commonly used Android tools by developers. It acts as an editor for the programming language and can make APK files and file system for arranging the project. There is a high difference in learning JAVA and Android but when it comes to support, features, and integration, Android is unbeatable. AVD stands for Android Visual Device. It is an emulator for running Android apps on laptops and computers. It is mostly used to check the apps without downloading them. So, this helps to see how the app will look like on different devices. And with passing days the performance is getting better and better especially with the fast virtual mode, this runs Intel version Android on PC. It is a built-in android development tool which allows you to monitor any device during the runtime and gives access to get information on running processes, thread, network stats, LogCat etc. It helps in testing the performance of the app. The ADB shell is a command line Android tool which is used to run commands on the connected Android Device. It comes pre-installed with Android Studio. You can find tutorials to learn how to run the (.exe) file. It doesn’t come along with the Android Studio. It is a game engine and IDE for cross-platform game development. Unity 3D has a variety of features for game development and is easy to learn. 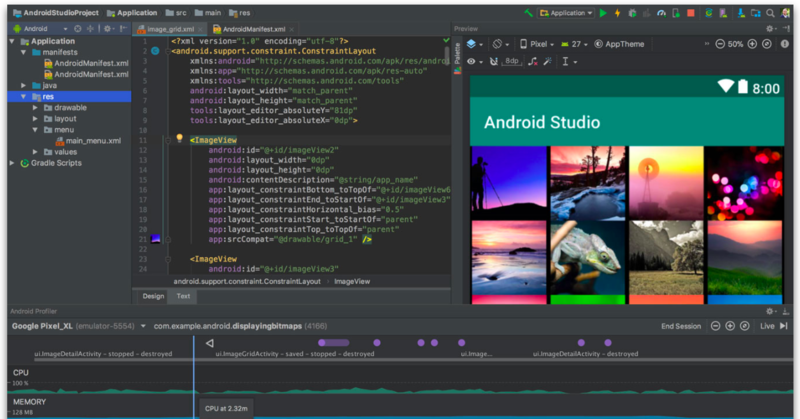 It is possible to create a game on Android Studio but Unity can make it quicker than Android Studio, without much effort or pain. It can also be used to create virtual reality apps. It is an alternative option for cross-platform full featured game development engine. It is graphically superior and provides easy support for Android. Though Unity provides better support for mobile and 2D creation, people mostly prefer Unreal Engine. GameMaker: Studio is another game development engine for 2D games. It is easier than Unity and Unreal 4, also allows to create an app with zero code. One can easily learn to get a grip by starting with beginner-friendly GML or GameMaker Language. B4A or Basic for Android is Android Development Tool from Anywhere Software, mostly focused on ‘rapid’ development. It is an IDE and interpreter which helps the beginners to develop an app by using BASIC programming language. This reads closer to regular English helping those who aren’t familiar with BASIC language. Even though it works on BASIC programming language, it does contain some advanced features like wireless debugging over Bluetooth and a visual editor for adding and arranging views. It is an acronym for ‘Android IDE’ and is a unique tool, as one can create an app by using his mobile or tablet and can test it on the same device. It lacks some advanced features which Android Studio contains, hence there is no such specific reason to choose it over fully featured Android Studio. As it can be used in mobile phones and tablets, it becomes handy to learn JAVA and Android SDK. Eclipse is one of the old Android Development tools used by people before Android Studio was introduced. It is an IDE which supports multiple languages including Java with Android SDK. This tool doesn’t support ‘out of the box’ unlike Android Studio and requires more setting up. GitHub is an online Android tool, used to share projects and keep track of multiple versions and forks of those projects on which people are working in teams. It helps in collaborating, finding code samples, tutorials and for easy backups. 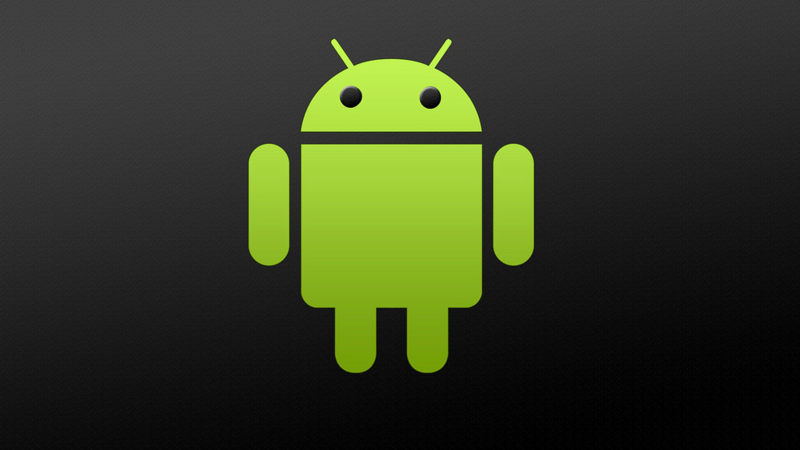 Android Tools and Drivers are becoming hugely popular with the developers. The user-space Android drivers are components registered from within the apps. Android Things introduced the concept of ‘user-driver’ to allow the app developers to register new device drivers with the framework. These components extend existing Android framework services. They allow any application to inject hardware events into the framework that other apps can process using the standard Android API’s. In many apps, using Peripheral I/O to communicate directly with external hardware devices is sufficient. However, there are some benefits to integrating your hardware with the rest of the Android Drivers framework such as – Portability, Reuse and Integration. Location: GPS (Global Positioning System) works due to satellite constellations to provide high accuracy information about a person’s physical location. 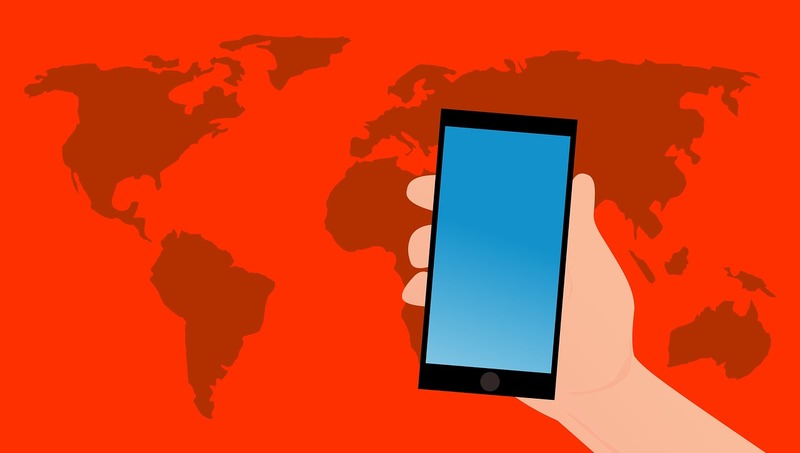 Integrating the location results from receiver devices with a user Android driver allows the framework to connect that data with other location sources, such as WiFi, and Google’s Fused Location Provider. HID: Human Interface Devices provide user input to the apps. Devices like keyboards, touch pads, game controllers etc. provide these inputs. Input user drivers let devices interact with the enhanced input framework APIs. Sensors: They are used to collect information about the physical environment. It measures and reports. The Android Sensor framework implements sensor fusion to combine raw data collected from different physical sensors into a single virtual sensor. LoWPAN: Low-power Wireless Personal Area Networks allow the devices to connect and exchange data. The radios for such networks are specialized. LoWPAN drivers enable you to integrate an external radio module into the LoWPAN API. Whether you are an Android fan or not, whether you have a basic knowledge of Android or not, it doesn’t matter. Android has developed rigorously over time and has become very easy to use. So if you want to reboot, restart, update, log in, or if u forgot the password, or simply if you need to download any app of some file and install it, no need worry. With Android tools and Drivers, there is nothing which you can’t understand in one go. Search the keywords for the Android tools and Drivers you need to download. Check the links and try not to fall for false links and pop ups. Click on download and then install the Android drivers and tools manually on your device and run the setup. There are several things you need to consider before downloading and rebooting your device. Your mobile phone or the device on which you need to download the tool or driver must be at least 50% charged. While rebooting, the device may format all the data in the mobile phone or any other device. Hence, it is better to remove the sim cards and Micro SD card from the device. Switch off (power off) your device. Press and hold the down volume key and power off key. You can also press and hold the up-volume key and power off key. Or, press and hold both down volume key and up volume key along with the power button. Follow the procedures stated above one by one. Now, you will find the reboot mode in action. Then, after rebooting your device, connect your device to the computer. Android Tools for PC – ADB, Fastboot, and Drivers. These are the 3 most needed PC tools for Android Device, all in one installer. So, there is no need to install SDK for these 2 small things. It’s a very small and fast installer for android tools and drivers. Clean – ADB and Google Drivers from latest SDK. Run the file. Mostly running any set up or application may require administrator permission. Press y/yes and install the tool or driver on the device. OR N/No to skip the step. Press y/yes and N/No ADB system wide and for current users only, respectively. Continue driver installation and wait for it to finish. See, it’s too simple and easy to use. Anybody can download and install any Android tool or driver in their system without any difficulty. But, one should be little careful about the pop-ups as they may contain viruses.